Artists are buzzing, preparations are in hand and Parks Victoria is already operating the punt service. On Saturday 19th January 2013 a Councillor representing Cr. 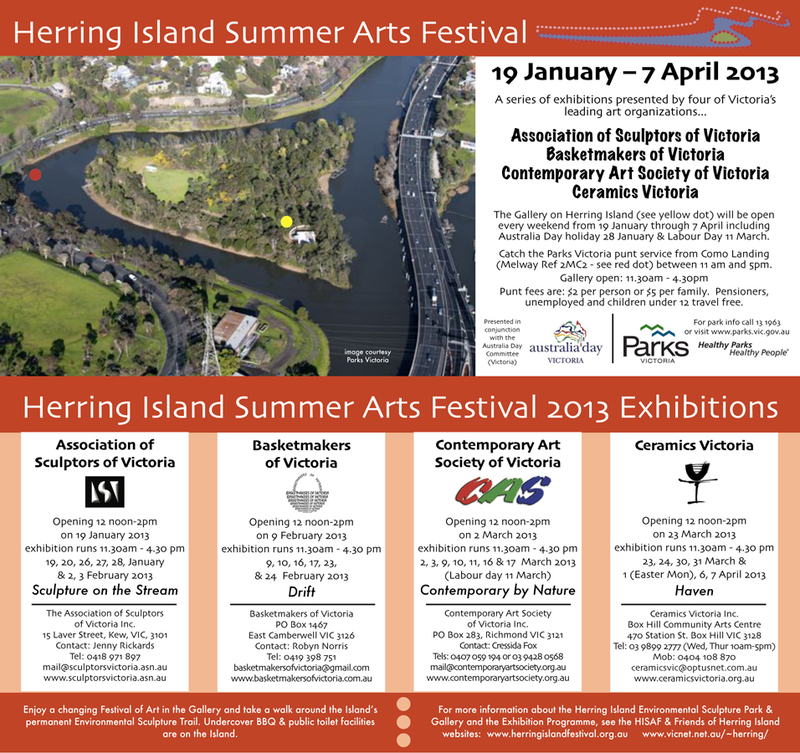 Jackie Fristacky, Mayor of the City of Yarra, will open the Sculpture exhibition and launch the 2013 Herring Island Summer Arts Festival. The opening will run from 12 noon until 2pm and all the exhibitions in the series will be open from 11:30am to 4:30pm every weekend until 7th April. Remember that the punt service stops at 5pm - so in spite of the temptation to linger forever on the island - be there on time! You can contact us to receive email notifications of the start of each exhibition or download an invitation here.